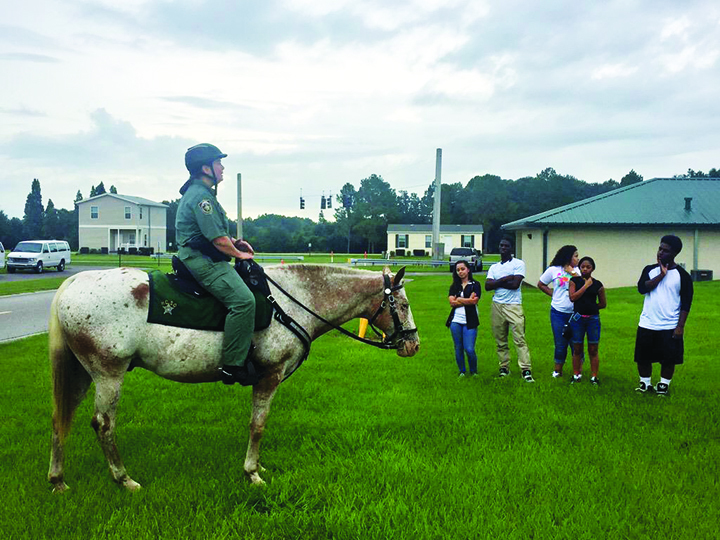 Part of Sheriff David Gee’s commitment to area youth, the Hillsborough County Sheriff’s Office (HCSO) Community Outreach division has been busy, keeping local students busy this summer. HCSO has offered its Summer Youth Employment Program as well as its Summer Youth Leadership Camp. HCSO Corporal Benjamin Kenney spoke highly of both programs as well as all the students who are taking advantage of what is offered for them this summer. “The Summer Youth Employment provides actual paid positions for more than two dozen teens, ages 16-18, and a great opportunity to gain work experience in various Sheriff’s Office locations for eight weeks,” Kenney said. This year’s employment program was scheduled to run from mid-June through Friday, August 7. Kenney emphasized as a highlight toward the end of the program, HCSO provides participants with a Summer Employment Career Day, held on Friday, July 24, at the Hillsborough County Sheriff’s Office, Walter C. Heinrich Practical Training Site located at 14063 C.R. 39, in Lithia. “This career day adds to the valuable skills the youth have learned throughout the summer in their various positions,” he said. 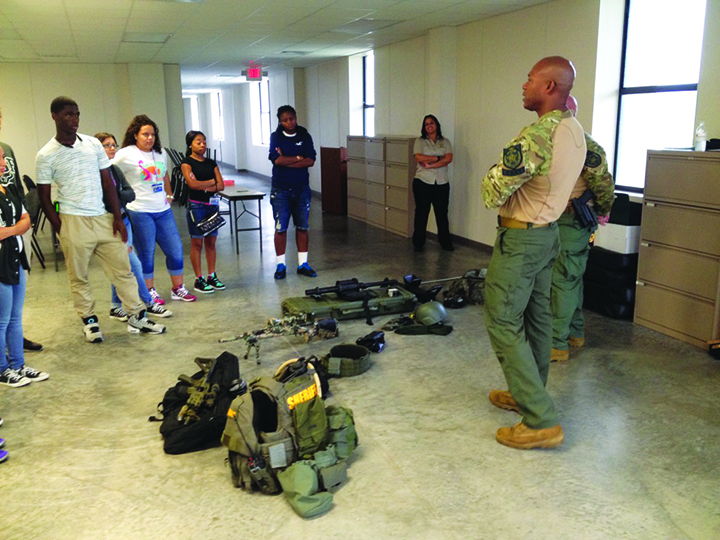 The Career Day included classes on resume writing and career planning, demonstrations from various Sheriff’s Office Divisions and participation in a driving simulator, along with various demonstrations from SWAT, Bomb and K9 Teams as well as the HCSO’s Mounted Patrol Unit. HCSO’s Outreach Divison also kept local elementary and high school students busy after sponsoring a Summer Youth Leadership camp, while forming a partnership with the Dream Center of Tampa. Kenney said that the group of students interacted with deputies in sports and game activities, Health and Wellness training, as well as live demonstrations from different divisions within the Sheriff’ s Office. For more information about HCSO’s Outreach Division, visit www.hcso.tampa.fl.us.